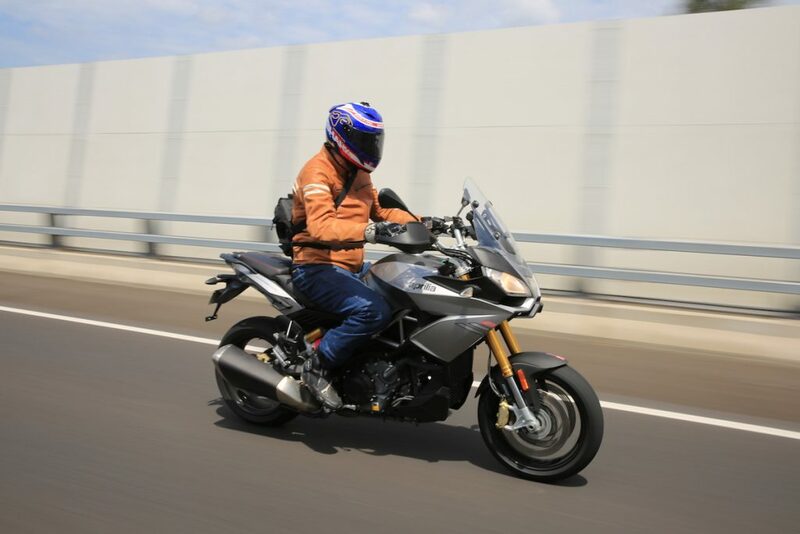 With the Sydney Gassit office located on the fringes of the CBD I was in need of inner city transport and our new Aprilia Caponord 1200 Touring long termer fits the bill perfectly. Before you go reaching for the phone to report a mad man on the lose, hear me out. Sure the big 1197cc v-twin may appear as far removed from an inner-city commuter as you can get, but looks can be deceiving. The run to the Sydney office is an 80-minute battle including a freeway jaunt, outer suburb traversing and CBD madness. Along the freeway the Aprilia is super smooth and comfortable thanks to its 92kW of power, aDD electronic suspension and aerodynamic fairing and screen. Once I hit the outer suburbs the low-end grunt allows me to lane change and power into gaps. However, it’s when I reach the congested city CBD that the Caponord is a real surprise. It’s narrow width and amazing low speed make it a breeze to lane filter. Its upright seating position, with high-set handlebar and 840mm seat height, allows me an almost unrestricted view across the top of the slow moving traffic to plot my course. When making the daily commute I remove the easy-to-detach hard panniers and slip my laptop into my new Kriega bag to give me a little extra breathing space between cars. Agreed, city commuting is not really the natural habitat of the Caponord 1200 Touring, that’s evident by it’s Touring moniker, so over the next six months we will be refitting the paniers and pointing the big girl at the horizon to see where it takes us.